When David Scott met his wife-to-be, he knew she wasn’t keen on becoming a preacher’s wife. And that was fine, because he was then a prosecutor in the New York City District Attorney’s office. And that was fine too, but then he became a preacher. In 1987 a mysterious and debilitating illness befell Rev. Scott and while he was incapacitated, he surrendered to a spiritual calling that he’d suppressed for years. Rev. Scott, of Riverdale, died Sept. 24 from complications of respiratory failure. He was 64. 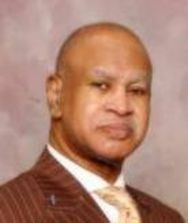 A funeral was held Monday at Emmaus Road Missionary Baptist Church, which he established 16 years ago and pastored ever since. His body was buried at Greenwood Cemetery. Willie A. Watkins Funeral Home was in charge of arrangements. In 1991, the Scotts left the home they’d made together in Waco, Texas, where he worked in the district attorney’s office, and moved to Atlanta. He willingly walked away from his 11-year law career and went back to school even though he’d already earned an undergraduate degree in political science from Huston-Tilloston University, a master’s degree in public administration from Southern Methodist University and a law degree from Howard University. In the mid-90s, Rev. 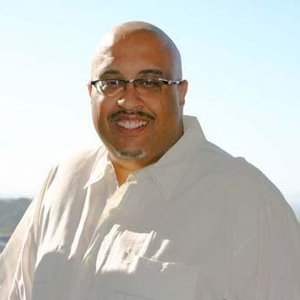 Scott graduated from the Interdenominational Theological Center in the Atlanta University Center with a master’s in divinity, but then went on to earn a doctorate of theology from Restoration Theological Seminary in Morrow. He started Emmaus Road Baptist after he failed to find the right fit at other churches in the city, his wife said. In 1996 Rev. Scott started the church with just his wife and children, but membership grew steadily over the years. Dr. Scott estimates the church now has approximately 500 members. In addition to his wife, Rev. Scott is survived by sons, David Scott of Dallas, and Benjamin Scott of Riverdale; a daughter, Hillary Scott of Dallas; sisters Sherry Thompson, Ruth Brinkly-Cooper, Linda Collins-Wrighten and Stephanie Wormley, all of Dallas; and four grandchildren.